On International Women’s Day the Game Of Thrones star has said the bravery of female victims speaking out about abuse could pave a safe path through the film industry. Williams has said her global fame has brought immense pressure, but accepted her position as a role model for young women. 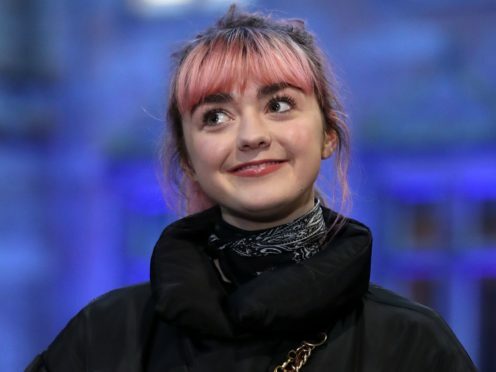 The Arya Stark star refuses to change her youthful appearance to adhere to the expectations of others, and has said she relies on her own powers of thought and speech to stand up for herself. She hopes that the raised voices of other women have helped to make the need for Me Too a thing of the past. Williams said: “I would hope that women that have spoken out so bravely, I would hope that that means there’s never going to be a Me Too movement again. Williams spoke at a Women Of The World event in London, describing the perils of fame for young women. She said her elevation to worldwide recognition at an early age made her an immediate role model for other women and girls. Williams said: “I quite early on realised I had become become a sort of role model. The actress spoke of the pressure on women across film and social media for females to share an aesthetic, one she refuses to buy into. The star founded the app Daisie, aimed at helping collaboration in creative industries. She said she wants a “better supper network” for women in the film industry.